All over the globe, the working class is rising up against the forces of industrial globalization. Nationalism will bring back good-paying jobs, say the populists. Or so the theory goes. Yet reality intervenes. In late November, General Electric (GE) bought a scheduling-software company called ServiceMax for $915 million. It was the third software deal in one week for its GE Digital division. In September it purchased Meridium, a company that makes software to monitor and maintain heavy machinery, for $495 million. GE is in a hurry to digitize heavy industry. It’s not worried about borders or worker uprisings or politics. Its laser focus is productivity and profits. GE was once the epitome of American manufacturing might. Now it is being made-over into a software analytics company. Its Digital division did $6 billion in sales last year optimizing the production of jet engines, wind turbines and oil-drilling equipment with its Predix software platform . By 2020, sales are expected to hit $15 billion as the platform is fleshed-out with more services and pushed toward more sectors. However, one man’s productivity gain is another man’s pink slip. Wendell Wallach, a scholar at Yale University, worries we are headed for a period of “technological unemployment” as advances in the digital world are set free from oversight and regulation. The numbers bear this out. In 1990, the largest U.S. companies, General Motors (GM), Ford (F) andExxonMobil (XOM) earned $11.55 billion and had a combined 799,000 employees. Today’s biggest, Apple(AAPL), Alphabet (GOOGL) and Microsoft (MSFT) have profits of $80.9 billion and employ just 279,000 people. You can’t necessarily blame GE for choosing a business model more like Microsoft than Ford. It’s just business. Unfortunately for workers, its plan is not just to remake itself. It has designs on remaking mining, agriculture and most of manufacturing, too. And it is not alone. German industrial giant Siemens is buying Mentor Graphics, an automation and software outfit. Like GE, it wants to digitize old line factories into bits of data. 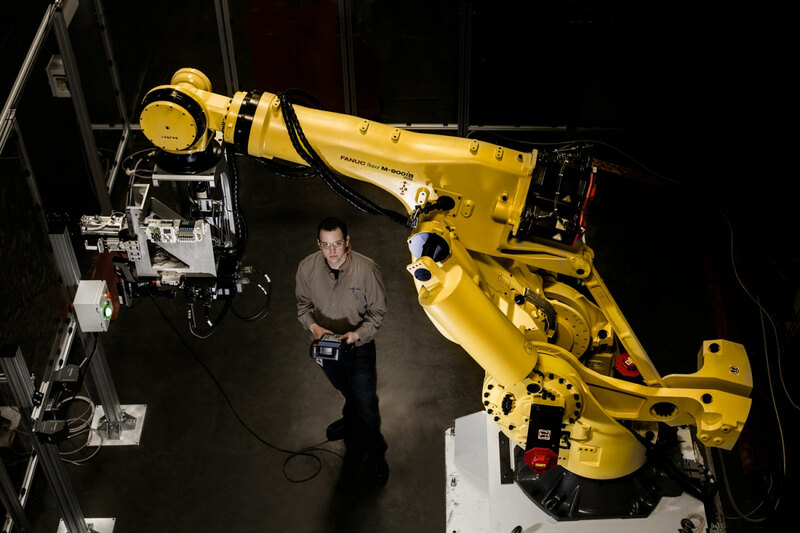 Then it will increase manufacturing productivity with the Internet of Things and industrial robots. It even has the blessing of the German government. The bottom line is that nationalism will not save working-class jobs. And it certainly will not bring them back from other countries. Those jobs are being lost to software analytics and robots. “When people no longer receive the money from wages they need to support their families, it is hard to know what they will do, but in the past and in other countries this has been thought of as a situation ripe for a revolution,” Wallach said.